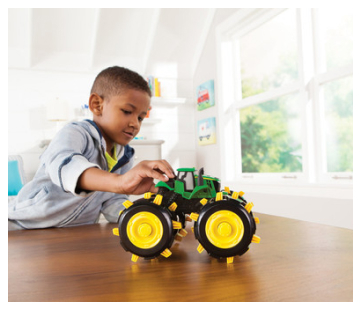 Shaped like a John Deere tractor--and featuring free-rolling wheels--the Roll 'n Go Flashlight offers real light and features tractor sounds when the light is triggered. Auto shut-off features saves batteries! Requires three AAA batteries, included.